In my blogging activity, I use a screenshot tool a lot. I need to create a high resolution screenshots of my working for my blog posts. There are many screenshot tools available out there. Most great screenshot tools are not free. But you pay what you got. There are also many free ones that have almost everything you need to create beautiful and professional snapshots of your works. 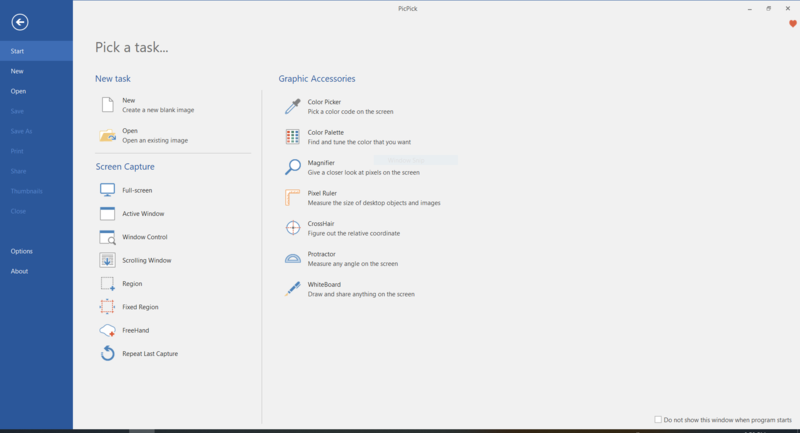 On this post, I would like to list some of the best screenshot tools for Windows. This list is based on my own experience. If you have different or want to add more software to the list, please feel free to put in the comment below. PicPick is my favorite and I put this software on the first place of The Best Screenshot Tools for Windows. I am happy to use this free screenshot software for Windows. I have been using this software for sometimes. The new PicPick version 5.0.1 is available at the time I write this article. It has a redesigned user interface. PicPick is free for home users. You can upgrade to the paid version if you need more features. Supports various screenshot mode: full screen, region, active window, and active control, scrolling window, free hand. Built-in image editor. You can add text, resize, crop etc. Direct share to Facebook, Twitter, Skype as well as email attachment and also FTP Server. Well, those features are FREE!! Grab PicPick Now. The free version does not support auto update. Upgrade to full version if you need this feature. I have to include the built-in Windows Snipping Tool. Even it’s not as good as PicPick, the new Snipping Tool version 10.0 has some improvements. The Snipping Tool supports 4 screenshot mode: Full screen, free-form, windows snip and also rectangular snip. It also has a built-in editor where you can highlight, erase. You may edit with Paint3D if you want. Snipping Tool is a simple screen capture software with minimal features. The editing tool on this software is not as good as PicPick has. But, if you don’t want to load any third party software on your Windows, then Snipping Tools should be sufficient for you. 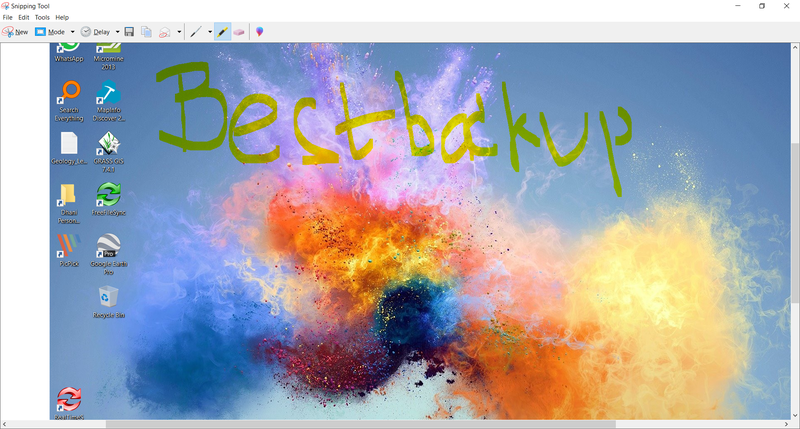 Another good screenshot software for Windows that you should try is SnagIt. SnagIt is a complete, rich features screenshot software for Windows. Even it is not free, but I think this software is worth the price. You can get SnagIt full version for about $50. It’s not a cheap one but it comes with built-in video recorder feature and complete image editor. All in one capture: full screen, region, window and scrolling screen. 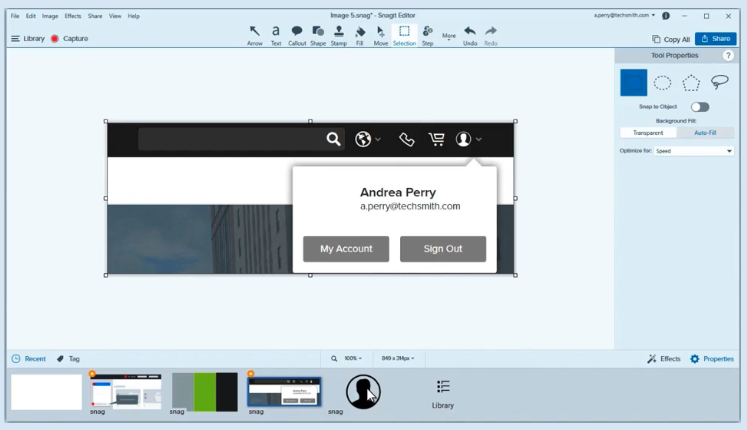 Many people say that they like Snagit ability to capture the screen content as well as any element on the screen. Not many best screenshot tools have this feature. Once the image was captured, we can then edit the image with the built-in image editor. It has many tools such as blurring personal information on the image, and so on. But in some cases, the scrolling capture feature does not work properly. There still some flawless on this scrolling window capture mode. CloudApp is Chrome Extension for screen capturing purposes. It’s a stable and powerful Google Chrome extension. This software also offers a standalone installation for Windows and Mac. Like Snagit, the CloudApp also equipped with screen recording capability. You can record your desktop activity into a video file or GIF file. This software will automatically upload the output images to the cloud. CloudApp is free for personal use. But you will need to purchase CloudApp if you want more feature for your team or business. If you are running CloudApps using Chrome extension, you will be limited to the Google Chrome screen area only. If you close or minimize Chrome window, the screen capture won’t work. That’s the downside of CloudApps chrome extension. What do other users say about CloudApp? CloudApp save me and the team a lot of time. We can use this program to take screenshots and record anything using different software. We simply edit the images and send them to our team. It’s super easy to use and make our work a lot easier. PicPick is one of our favorite, complete and free screenshot tool. This software lacks video recording feature. If you need video recording feature, we recommend to use Snagit. It’s not free but its worth the money. Thanks for reading The Best Screenshot Tools for Windows article. Please share and subscribe to our website.